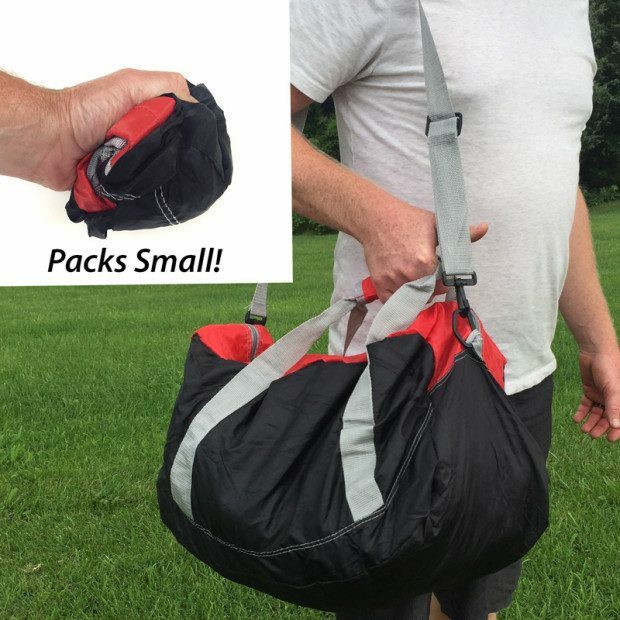 Lightweight & Packable Overnight Duffel Only $6.99 + FREE Shipping! You are here: Home / Great Deals / Lightweight & Packable Overnight Duffel Only $6.99 + FREE Shipping! This packable overnight duffel is perfect for the person who needs a bag that holds a bunch but packs away small when you’re not using it! Score the Lightweight & Packable Overnight Duffel for Only $6.99 + FREE Shipping! Get 2 and the price drops to $5.99! These bags hold everything for a night or weekend you might need and the lightweight (5.6oz) Nylon packs all the way down to about the size of a softball!